Ants have previously been observed farming fungi for food, but this is the first study to show the insects cultivating plants, said researchers from the University of Munich who published their findings in the journal Nature Plants. 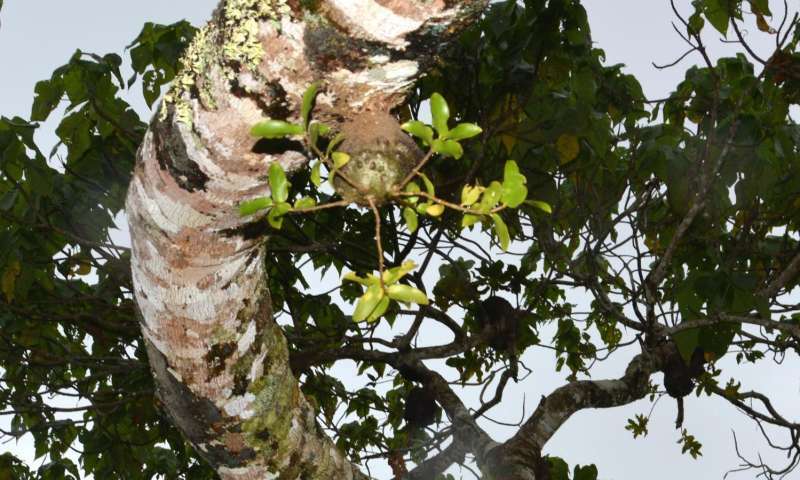 The ant, known as Philidris nagasau, gathers seeds from the fruit of six different types of Squamellaria plant, then nestles them in cracks it finds in trees. They regularly visit the growing seedlings, which form hollow chambers inside the trees. The ants "defecate inside to fertilise the young plant and help it grow," said a media summary issued by Nature. As they expand, the chambers in turn offer nesting space and protection for ant colonies. "The ants and plants are interdependent and one cannot survive without the other," said the statement. Reconstructing the evolutionary history of the insects and their crops, the authors concluded the relationship stretches back about three million years—long before modern humans, history's most prolific farmers, even existed. Squamellaria are so-called epiphytic plants, which grow harmlessly on trees—relying on them for structural support but not for water or food, which they extract from the air and from rain. It has been known for decades that ants do this. See the ant-domicile plants Hydnophytum and Mymecodia for other examples.